Oscar continues to do very well. He has turned into a very strong swimmer and will never let a tennis ball get away. He is 70 lbs and solid. When he plays with Trevi he is super gentle though. 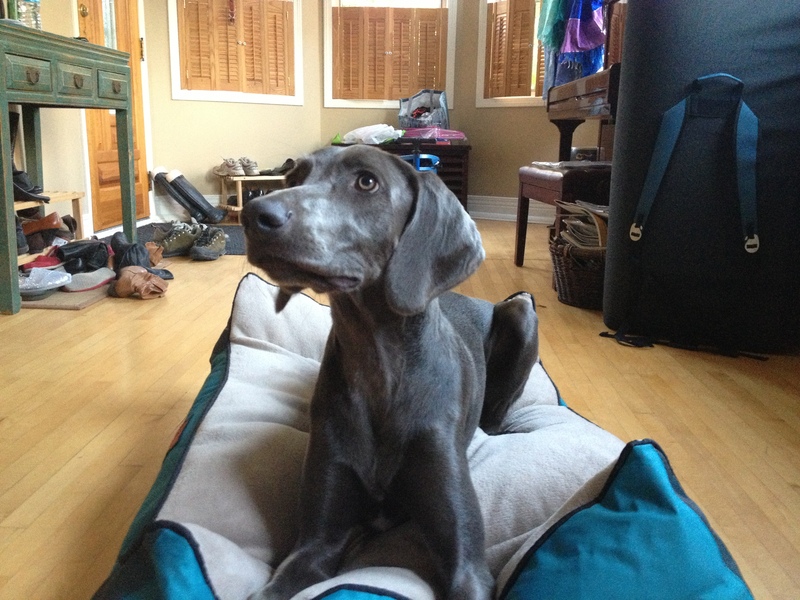 Posted on July 22, 2013, in Mousse X Benton, Previous Pup Update and tagged Oscar in Calgary loves tennis balls, Swimming Blue Weim, Weimar Tennis Ball. Bookmark the permalink. 2 Comments.